Hello everyone. Once again the elusive artist comes out of hiding. I have posted my Art Shows and Book signings for 2013 on the “Art Shows” link. It may change as the times come closer so be sure to check back for updates. 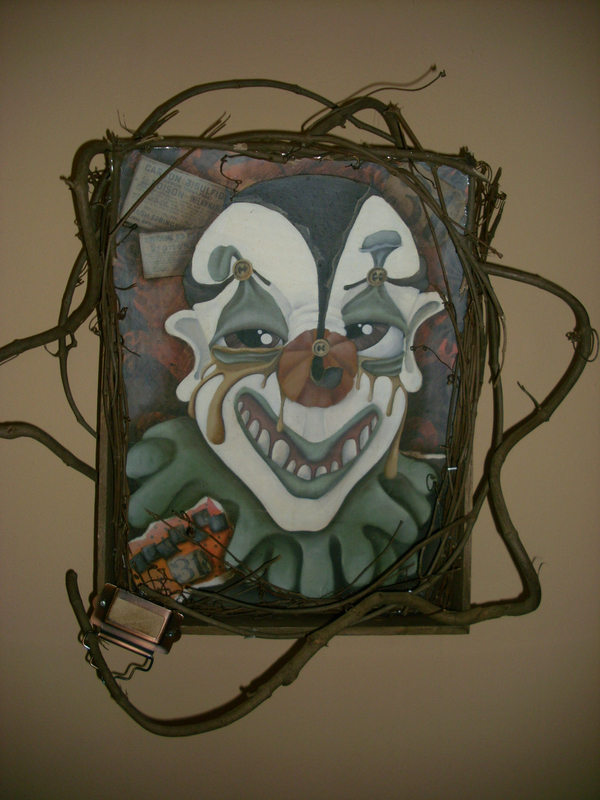 This year you can expect to see the Clown Asylum Series completed as well as my cast of characters from “A Trashy Novel” I will also sprinkle random seasonal characters throughout the year to put up for sale! I think 2013 will be a GREAT year for some very interesting paintings. As always… thank you for your support! Framed and Ready to Sell! Next Post ALL Paintings at The Story Emporium are for sale… With 2 new additions….